Unfortunately, many patients delay seeking care by a specialist. 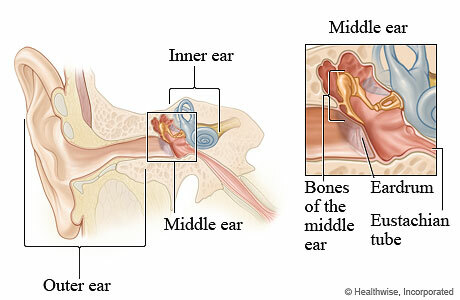 The symptoms of decreased hearing and fullness of the ear are often diagnosed as a middle ear infection (otitis media) and so the referral to an audiologist or otolaryngologist (ENT specialist) is made too late, or insurance issues may prevent referral in a timely fashion to an ear specialist. A delay in treating this condition (2 weeks or more after the symptoms first began) will decrease the chance that medications might help improve the hearing loss. The diagnosis can only be made by specialized hearing testing by an otolaryngologist (ENT specialist) or an audiologist. Pure-tone thresholds, speech discrimination scores, acoustic reflex testing, and distortion product otoacoustic emission testing, the parts of a complete audiometric evaluation, are performed to confirm the diagnosis of a sudden sensorineural hearing loss. A comprehensive evaluation by an otolaryngologist (ENT) and an audiologist will ensure that the loss is nerve-related, and not due to fluid, infection, or a perforation, or hole in the eardrum. If you do have sudden sensorineural hearing loss, treatment with steroids within the first 2 weeks of the symptoms provides the best chance that some of the hearing may return. The gold standard therapy is steroids by mouth but several small studies have suggested that steroids injected into the ear may be beneficial. The gold standard therapy for sudden single-sided deafness is steroids given by mouth. Prednisone is the most commonly used oral steroid in this situation. However, several small studies have suggested that delivery of steroids directly to the inner ear (by injecting medication into the middle ear) may also be equally effective. This procedure is called intratympanic (or transtympanic) steroid therapy and other variations such as intratympanic dexamethasone perfusion or intratympanic methylprednisolone perfusion, etc. Intratympanic steroid therapy. It involves the administration of steroid (such as dexamethasone or methylprednisolone) into the middle ear using a relatively painless, quick technique in the office setting. The medication is administered through the eardrum (tympanic membrane) to fill the middle ear. The inner ear then absorbs the steroid through passive diffusion across the round window membrane to the scala tympani, the largest of the three chambers of the inner ear. Please refer to the diagram below.